H.R. Randy Duncan | Duncan Green, P.C. Randy was born in Osage, Iowa and grew up in Des Moines, Iowa. He obtained his B.A. in 1959 from the University of Iowa. While there, he played quarterback on the football team. From leading the team to a 1959 Rose Bowl win, earning the Grantland Rice Award, winning the Walter Camp Trophy, being named the Big Ten’s most valuable player by multiple organizations, to being inducted into the College Football Hall of Fame, he truly is an Iowa Hawkeye football legend. After a couple of years playing professional football, he decided to retire from football and pursue a legal career. Randy obtained his J.D. from Drake University in 1963. He co-founded Duncan Green, P.C., in 1993. He practiced law for over forty years, including aviation law, legal malpractice, personal injury, products liability, and trial law in all areas of civil litigation. 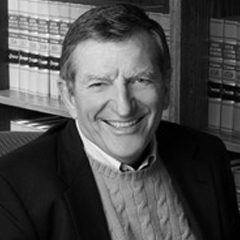 He was highly regarded by his peers as a legal practitioner, such that he was selected to be a Fellow of both the American College of Trial Lawyers as well as the Iowa Academy of Trial Lawyers. Randy was a philanthropist in Greater Des Moines as well as the entire state of Iowa. Even when it came to his legal profession, he was always giving back. As a charter member of the C. Edwin Moore Chapter of the American Inns of Court, he mentored young attorneys and promoted civility and decorum in the practice of law. Especially dedicated to the betterment and well-being of at-risk youth, Randy served as President of the Board for Youth Homes of Mid America. He also served on the board for the Des Moines YMCA and the Des Moines YMCA Camp. Randy had a great passion for life. He was a very humble and modest person. He enjoyed time with family, Hawkeye football, summers in Okoboji, hunting, and giving back to the community.